The FAQs were updated to provide additional information about the Office 365 admin center preview. Since we are still early in our journey, not all the features are available yet. This is an early peek and there is much more to come. We are continuing to invest in providing you with tools to help you drive your organization to achieve more. Even though we are simplifying the experience, we are by no means removing capability. You will have the ability to customize your dashboard to surface the tools that are the most relevant for your organization. The left navigation menu lets you dive deeper into the advanced tools and controls and continue to give you access to specialized portals, such as the Exchange admin center. 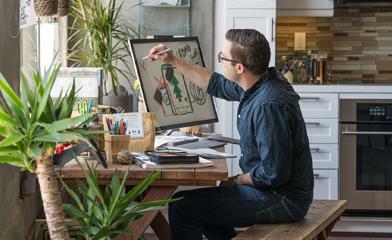 For Office 365 admins that require more advanced functions, your features will still be there. Today we are embarking on a journey to improve your administrative experience. The rollout will start with a set of small business and First Release customers. It’s an early peek and not all of the features are available yet. We are looking for your feedback so that we can continue to shape the product into something that will truly help you achieve more. Things will change and there will be updates as we learn from your feedback and get further down the road. Join us on the journey of helping you do more in Office 365. Q. I can’t find all the features I need, such as Message Center, in the new Office 365 admin center preview? A. Since we are still very early into the journey of the new Office 365 admin center preview, not all the features are available yet. To access features that are not yet available in the preview, simply go back to the classic view of the Office 365 admin center by selecting the link at the top of Admin home in the new Office 365 admin center preview. Q. Where do I go for help? A. 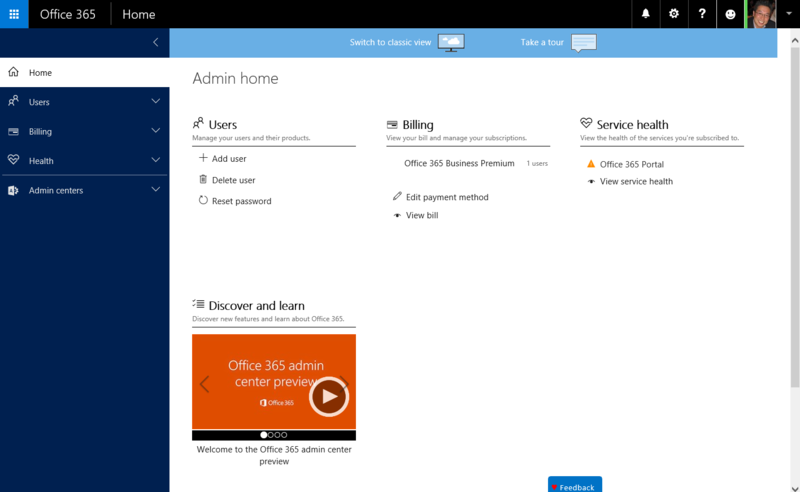 Help for the new Office 365 admin center preview is available at aka.ms/new365admin.